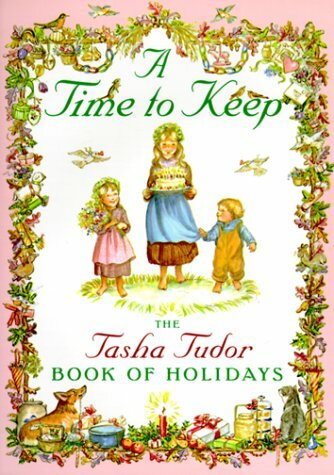 When I was a little girl, one of my favorite books was Tasha Tudor's "A Time to Keep." Did you have a copy when you were a wee one? I hope so. It still fills me with delight and wonder as I flip through the beautiful pages of an old fashioned family, cheerfully celebrating each month of the year. If you don't own it, put it on your Christmas list. It would make a remarkably charming gift, a monthly reminder to live life to the fullest. This made young Prudy a bit forlorn and confused. Especially since I grew up in California, the land of eternal fruits, flowers, leaves, and birds. I thought (and still do) that November was the best month of the year. There was the holiday anticipation in the air, the miraculous Thanksgiving feast, and 5 out of the 10 kids in my family had November birthdays. Now I knew that Thomas Hood got it all wrong! No company??? For Pete's sake, I just said good-bye today to the last of the 40 visitors that came for Thanksgiving. Farewell, fair and favorite month. Enjoy the last sunset of my favorite month. See you tomorrow with Dark Brown Sugar Caramel Corn. Thanks for the sweet post. I LOVE Tasha Tudor. But...um...you should know that January is the best month for a birthday. :) Looking forward to your next "sweet" post. say this: "ok goodbye November, Hello December"...that's it. WE hope you come in 3 weeks. ah, isn't reeve a cutie? great post. i did have this book growing up, too, although i had forgotten about it. time to look it up and find a copy for my own kiddos. i love november, even without having a birthday there. the last quarter of the year is my favorite, to be sure. No, I've never seen this book. 40 visitors! Holy smoke. Now you're gonna take December to rest right? I don't brag about it - I simply state unequivocally that August is the best month ever to celebrate your birthday if you live in the Northern Hemisphere. Perhaps November would be better if you lived in Chile or Australia. July is the best, you get presents at regular 6-month intervals. And there's no school on your birthday. Unfortunately, a lot of friends can't come to your party because they are on some kind of cool vacation. And yeah, Tasha Tudor is the BEST. I bought a little book of hers called A is for Annabelle when I was twelve, and I love to cuddle up with my kids and read it to them. She has a funny pumkin one too. Notice that poem didn't say no babies! Half the people I know are born in November so to me November is full of life, and it doesn't get any better than that. Uh, I know you're all totally OVER the whole thanksgiving thing, but I'm a week behind. I too have a frozen turkey breast, and will be using your crock pot suggestion, but do I thaw it first? You don't need to thaw it first. Just increase the cook time by a couple of hours. Thanks for your kind words. They keep me going!